We have been asking for additional payroll reports and Intuit has listened. I am excited to announce that Intuit released the maintenance update R3 for 2018 Desktop QuickBooks Products. It’s a bit unusual to see something ‘totally new’ appear in a ‘maintenance’ release of a desktop product, but it seems that Intuit intended to do this from time-to-time. 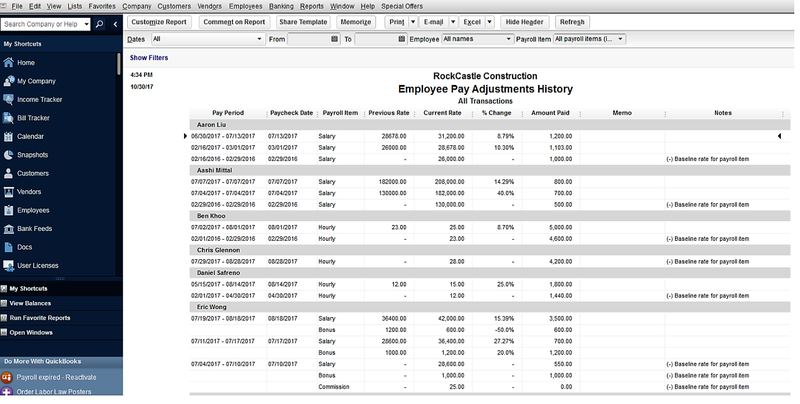 Intuit released a new Desktop Payroll Feature – Employee Pay Adjustment History Report. The report does not track the overall sum paid to the employee but strictly the rate of Earnings payroll item paid to an employee. In your QuickBooks Desktop menu, select Report > Employees & Payroll> Employees Pay Adjustments History. Click OK on the pop-up message that shows in your screen. This report features changes to the rate of the Earnings items in the paycheck such as Salary, Hourly, Bonus, and Commission. 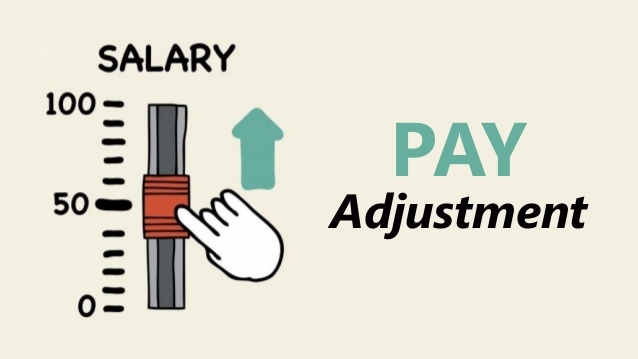 By default, if there’s a change in at least one of the Earnings items in the paycheck, all the Earnings items in that paycheck will be featured in the report to avoid misleading the customer into thinking that they have missing payroll items in the paycheck that they created. Pay period– the pay period of the paychecks when the change came into effect. Paycheck Date– the date of the paychecks when the change came into effect. Previous Rate– the pay rate of the paycheck of the employee prior to the change. Current Rate– the pay rate of the paycheck of the employee after the change. %Change– the percentage rate of the change. This can be a positive/negative figure depending on the change if it is a raise or a fall. Payroll Item – the name of the Earnings payroll item that is affected by the change. Amount Paid– the exact amount of each Earnings item in the paycheck.